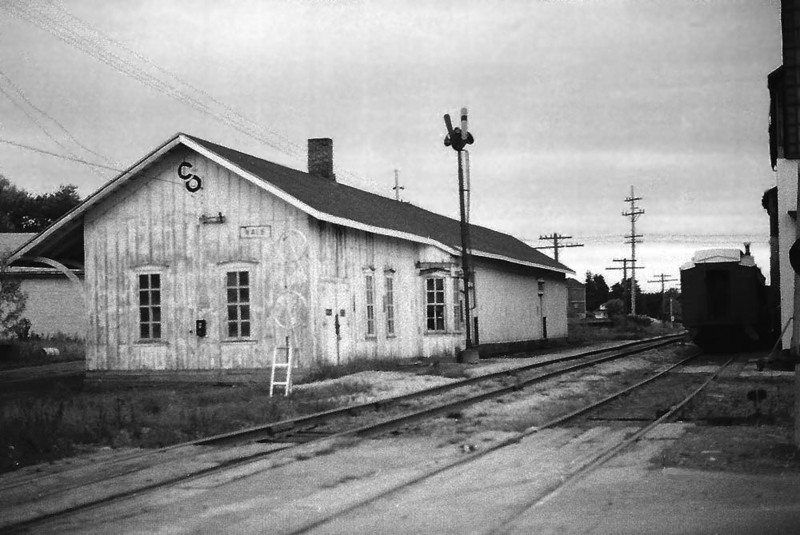 The Yale depot and train order office was located on C&O's Saginaw to Port Huron line in eastern Michigan. 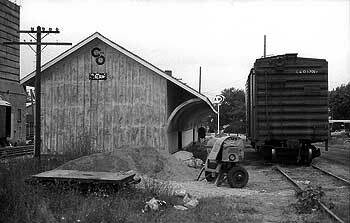 A photograph of it in Pere Marquette days can be found at Michigan's Internet Railroad History Museum. 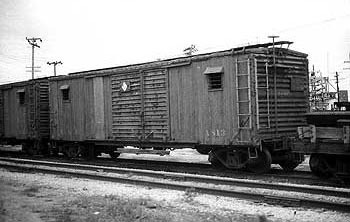 We know nothing of the maintenance-of-way heavyweight passenger car X1267, but m/w A813, a door-and-a-half boxcar, is another matter. 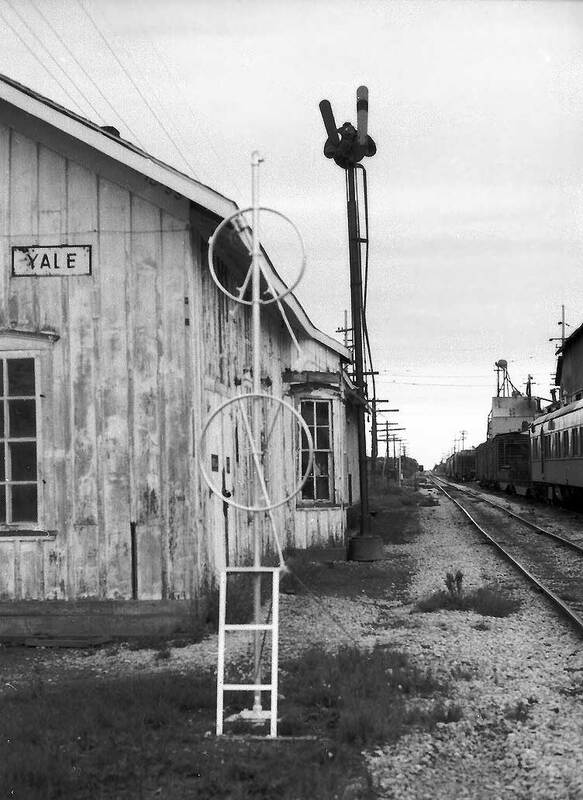 Our educated guess is that it is one of 2000 cars manufactured in 1924-25 for the Hocking Valley Railway, which formally merged with C&O in 1930. 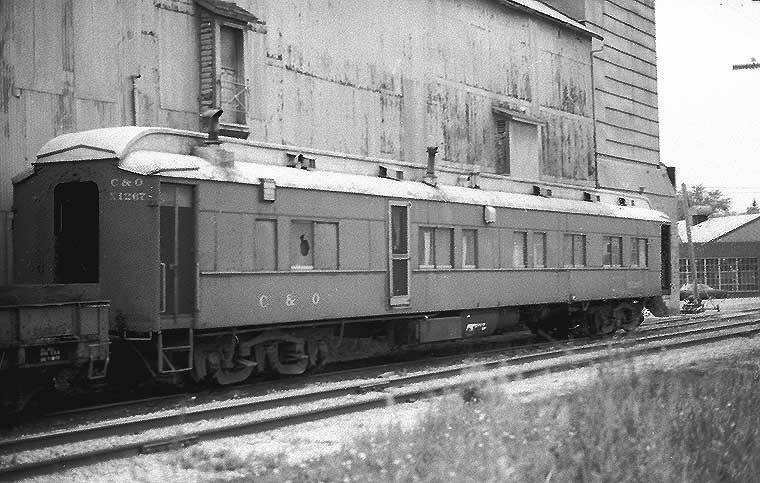 Nearly 1200 of these were rebuilt as all-steel single or double-door cars in 1941 and 1942, and at least a couple of the single door versions were still in revenue service when Wx4 photographed this car. 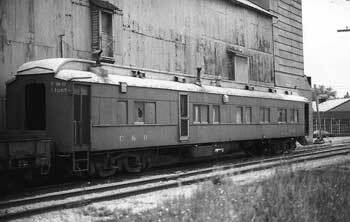 The last of the original double-sheathed wood-sided car was striken from the revenue roster in 1953, so the A813 had been in m/w service for a long time. This info is drawn from FREIGHT CAR EQUIPMENT of the CHESAPEAKE & OHIO RAILWAY, August 1, 1937; published in 1980 by the Chesapeake & Ohio Historical Society.